An outsourcing arrangement takes a lot of time, one-time fees, management oversight and operational focus to setup. The decision to enter or exit such a long-term relationship should not be taken lightly. Most often no financial business case can be made to switch early due to the high switching costs. The switching costs include outgoing termination fees, internal labor, 3rd party assistance, outgoing transition-out fees and new provider transition-in fees. The act of switching providers or repatriating is also a disruptive material event. As such, over 70% of Canada outsourcing agreements renew, and often they renew with scope adjustments and improvements. With that said, your organization’s current outsourcing relationship may be unworkable or unrepairable to the extent it is a barrier to the business objectives. In this case, you may be faced with a situation where you need to terminate an outsourcing relationship. IF you have made the decision to terminate with executive support, it’s very important for you to perform your due diligence and analyze the following key considerations before formally notifying the outsourcer. 1. Termination for Convenience or Cause? Why are you considering a termination? It’s important to have a legitimate reason to make a change to your outsourcing agreements. A “for cause” termination is often contemplated in an attempt to avoid termination fees. The unwanted side-effect is this will create a confrontational situation when you may require outsourced assistance in order to transition out. Depending on the situation, it may be worthwhile to get a legal opinion to determine if a “for cause” situation can be pursued. Remember that it is not just the materiality of the breach or outage that allows you to terminate, but that, as a client, you escalated all the proper channels, and the outsourcer was unable to remedy. 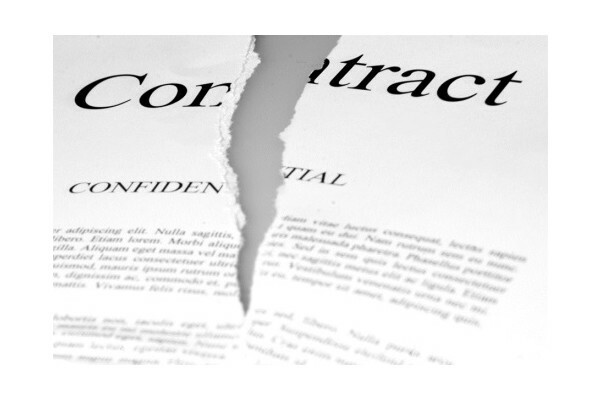 Do you plan to terminate a portion of the agreement or the entire agreement? Clients should push emotion aside and look at the performance data and customer satisfaction results across all services the outsourcer is performing. What is the outsourcer doing well and where are the problems? Often, the problems are isolated to one of many service towers. If so, consider remediation or termination of that single service tower. Example: IT Service Desk – Replacing the problem area with in-house or another provider is a lower effort, lower cost and lower risk than a full repatriation of all services. Each one of these factors could have an immediate business impact. A new governance model and reporting model will be defined, stood-up and operationalized “after the transition-out period”. But how will this work during the transition-out period? Clearly the ownership and responsibility of running IT services and ITIL processes are being transferred to different providers during this transition-out period as a big-bang or phased cut-over. An interim services agreement and interim governance model will be required for this transition period to orchestrate the formal transfer of ITIL process or IT services ownership and reporting. How will you communicate the news of the changes to key stakeholders? How will you manage a push back? How will you get people on board? What are your key messages? Ideally, if this is an active outsourcing arrangement, there is a stakeholder management plan in place. To ease the transition, ensure all stakeholders are identified, key issues are understood, and mitigation strategies are in place to deal with issues. Key messages need to be formulated and tailored for each stakeholder to express how the “change” will make things “better” for them. Therefore, a communication plan needs to have timing aligned with the overall milestones. Remember, the context and setting of the delivery of the message will be just as important as the message itself. Once you have determined that you will move forward, and once the notifications to all parties have been sent, you need to make sure you are ready to make the transition. Have you addressed the key considerations above? Have you developed a readiness criterion, committee members, and Go-No Go cadence? Do you have the resources in place to successfully transition out of the agreement? Consider all the time, energy and money it took to establish a current outsourcing relationship before transitioning out. The exit requires a similar level of time, energy, and due diligence. Don’t change for the sake of change. Make sure you really need to terminate, and if so, make sure you are going to a better place, not just a different place. Contact us to discuss how to get the most out of your IT providers. We are experienced outsourcing advisors and consultants that are experienced in optimizing outsource arrangements, leading turn-around efforts and on occasion leading termination strategies and transition-out, on behalf of our clients. We have led some of the largest outsourcing deals in Canada thru the full life-cycle to achieve significant cost savings and service improvements.